Learn English online with bespeaking! 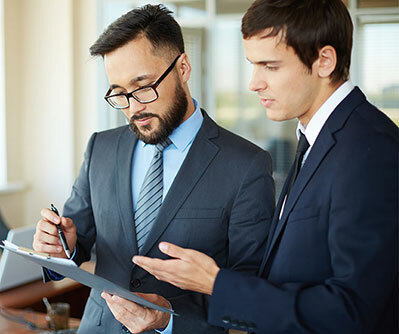 Bespeaking English lessons are tailored specifically to your needs, whether you have an upcoming presentation, international job interview or just want to brush up on your “small talk” skills. From anywhere you have an internet connection, your English lessons are focused on live conversation, correction, and cultural insight, allowing you to build confidence and converse fluently. Learn on your own time: on your lunch break, at the airport, over the weekend... Our teachers meet with you online via videoconferencing at a time that suits you, allowing for maximum time flexibility. English has taken a leading role in global business, and being able to communicate comfortably and confidently is essential. Give yourself the edge with effective English communication skills. You can participate in our live, online lessons with or without a camera, in a private or group lesson, with a native English speaker from any device you choose. We focus our approach on how you learn best. Lessons at Bespeaking take you further than workplace conversation. We focus on cultural insight and address appropriate body language so you can develop your English personality and build confidence across all areas. We will guide you in defining your individual goals based on your current language level and needs. You decide when, where, and how you want to learn. We are ready when you are, with teachers in multiple time zones around the world. We tailor our interactive lessons to perfectly suit your specific goals and learning style. Working with native-English speakers ensures that you are using the language correctly and gives you the confidence to integrate it into your daily life. 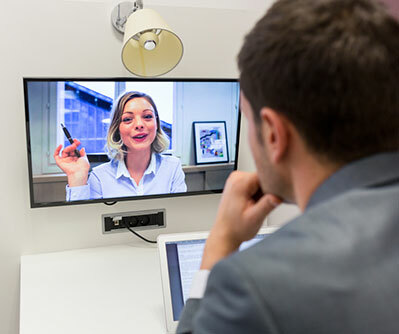 English lessons with Bespeaking are conducted through Skype, or a videoconferencing tool that allows online collaboration through virtual whiteboards and screen shares. Since your lessons are based around your individual goals, lesson time is spent efficiently, focusing on your language priorities. About to take the stage for a presentation? Need to refresh your negotiation points the night before a meeting? Schedule your online lesson in the exact moment you need it. "My teacher is patient and allows me to set the pace of our English lessons. We work on the material I need for my job and I feel more confident speaking English every week." - Michael I. "I've found that having an individual English lesson twice a week has kept me motivated and I learn vocabulary faster. I don’t know any native English speakers so speaking more frequently prepares me to work with my international colleagues from France and Poland." - Silvia P.
"I live far from a major city and can’t visit a school easily without driving 90 minutes each way! With the online lessons, I can work with my teacher on Saturday morning before my husband and the children wake up. It’s perfect for me!" - Isabel H.
"I needed an English language certificate (Cambridge Exam) to begin a master’s program at Uni in September. My teacher gave me exercises, extra vocabulary help, grammar tips, and a lot of exam prep and test techniques to get me ready. I passed!" - Florian S.
"I travel a lot for business and can’t commit to a class every week. English training online means I make my lessons when I can, so my money is never wasted. My teacher is really flexible, too, and he always has something new and relevant to work on in the lessons." - Jack H.